Jasper County—Monticello, The Road to Shady Dale & Seven Islands Howdy Folks! I hope everything is good out there. Last month’s column explored Newborn and Mansfield . Now we’ll turn our attention to Jasper County . 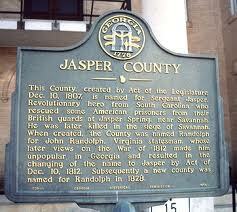 Southeast of Newton County , and originally founded in 1807 as Randolph County (and later changed because everybody in Georgia apparently got mad with Mr. Randolph), Jasper was the 31st county formed in Georgia . Truly a beautiful county, it is filled with lots of farmland, old homes, and historic sites. 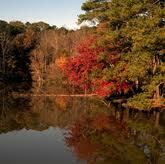 Pastoral and bucolic, it has seen modest growth lately as more people wish to get that good, country living. With around 12, 000 residents today, it’s a good place to be with lots of space to roam. The town seat of Jasper is Monticello . Formed in 1808 by settlers including many transplanted Virginians, the town was named in honor of Thomas Jefferson’s famous estate. At this time, Jasper and the city of Monticello were literally at the edge of the Indian frontier and that made for some interesting, and at times deadly, events. The Ocmulgee River on the western edge of the county was the boundary between the Creek nation and Georgia . In 1814, a couple of Jasper County citizens where killed by some of the “hostiles.” Andrew Jackson, who would later become president, led the charge that would drive the Indians south and away from the Jasper/Monticello area. During this time, the population of Monticello experienced explosive growth hitting 7,000 persons in 1810 and doubling to over 14,000 by 1820 making it one of the most populated areas in Georgia at the time. The town would experience another boom in the 1880’s with the coming of the railroad. These days, Monticello is a beautiful city with a vibrant square, beautiful homes, and a very cool courthouse. On the northern tip of Jasper runs Hwy 142. The same road that took us from Covington to Newborn in our last column will eventually take you through the communities of Broughton and Farrar and the city of Shady Dale . The Broughton area was settled as early as the 1790’s predating the Monticello area and most other towns in this part of Georgia . Never incorporated, it did have a store and several farms. A bit down the road is Farrar. There was a time when Farrar was an incorporated city and had multiple stores, a post office, two cotton gins, and a Justice of the Peace. Basically it was a cotton town and as the depression and boll weevil took its toll, the town never really recovered. It would eventually lose its charter and its population dwindled. If you continue east on Hwy 142, you will eventually hit Shady Dale. One of my favorite places in Georgia , this is Jasper’s only other incorporated town. Chartered in 1882 but around for decades before that, Shady Dale was basically right in the middle of the Augusta-Atlanta rail line. Also, it was a stop on the road that went to Milledgeville back when it was the state capital. Its good location made it an important hub for cotton, produce, and other goods. Several historic buildings remain in this town including the old jail that now serves as the city hall. During the Civil War, Sherman stayed in Shady Dale during his march to the sea. At around 200 residents, Shady Dale has about the same population today as it did in the 19th century. Well alright! Hope you enjoyed it. Next month will be the long-promised column on Social Circle and Walton County . The city of Oxford, just north of Covington, is a lovely city that has a rich and unique story. The city has a shared and intertwined history with Oxford College of Emory University (originally called Emory College). First envisioned in the early 1830's by the Georgia Methodist Conference, the school was chartered in 1836 and was named for Bishop John Emory. Of the original 1400 acres deeded for the school, it was decided that 330 acres would become the town of Oxford and would be laid out next to the college. The name Oxford was chosen as it was where John Wesley, the founder of the Methodist Church, had attended college in England. The town would be incorporated in 1837, and the town lots were originally sold with a 999 year land lease that stipulated that “no intoxicating liquors shall be sold, nor any game of hazard allowed.” Although the lease rights were later converted to fee simple ownership, the restrictions on land use remained and throughout much of Oxford's history, no drinking ; games of chance; or even profanity were allowed. In fact, an Emory student had to go to court in the 1920's for swearing in public. Through the years, both the city and college have grown. When Emory moved to its Atlanta campus, the college went though some transformations but is now a 2 year liberal arts college of the Emory University system. 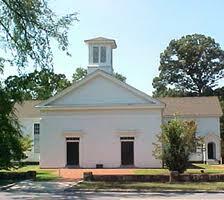 The city of Oxford was declared the sixteenth shrine of the United Methodist Church in 1971. To have been a college that may have had a few hundred students at any given time, Emory at Oxford ha s produced some very notable alumni. 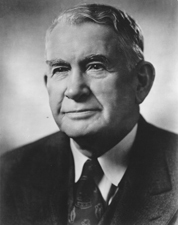 First and foremost would have to be Alben W. Barkley, the 35th Vice President of the united States of America. Barkley was Truman's running mate in the 1948 election that everyone thought the Democrats would lose but ended up winning. Barkley is widely credited with coming up with the line, "Give 'em Hell, Harry" and was also the first VP to be called "The Veep." Prior to that, he was a Congressman from Kentucky who served in both chambers from 1913 up to his VP role. He was Majority Leader of the Senate from 1937-1947. He would serve in the Senate again afterwords until his death in 1956. Barkley graduated from Oxford in 1900. Again, to be such a small school, it is amazing to me that they can lay claim to a Vice President and a Supreme Court Justice! 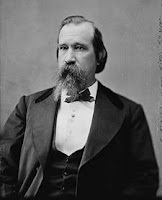 Lucius Quintus Cincinnatus Lamar (September 17, 1825 – January 23, 1893), attended Oxford in the early 1840's graduating in 1845. He was born down the road in Putnam Co. and after attending Oxford, moved to Mississippi and practiced law there. 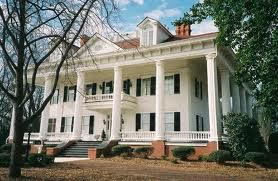 He would move to Covington, Ga in the 1850's and started his political career as a state Representative. Later, he would move back to Mississippi and was elected to the U.S. House. After the Civil War, he eventually became Secretary of the Interior in Grover Cleveland's administration until he was confirmed as a Supreme Court Justice in 1888. A historical marker on Floyd St. in downtown Covington is dedicated to Lamar. Another fascinating and interesting bit of Oxford College history has to do with Dooley, the "Spirit of Emory." Dooley is kind of the unofficial mascot of Oxford (Emory has their own as well). First docum ented in the late 1800's when he wrote a letter to the campus newspaper, Dooley's story is quite interesting, indeed. 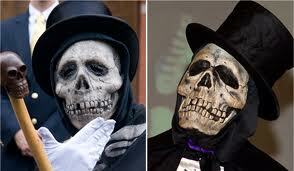 Originally a skeleton in the Science Dept., Dooley's legend would grow through the years. To this day, he is still a vital part of both Oxford and Emory. I actually had the rare privilege to see Dooley in person at Oxford sometime in 1994 or 95. Learn more here and here. The city of Oxford has a lot going on right now. They just completed a new City Hall that seems like it would be more suitable for a town twice as big, but a very nice building nonetheless. Oxford is also known for their 4th of July parade and festivities that bring in a lot of visitors every year as well as their extensive trails and bike system. By the way, remember the bit at the beginning of the article about "no intoxicating liquors?" Well...technically--that is still the law of the land according to Oxford City Hall. Learn more about the city their webpage. View the original blog post complete with pictures here. Some of the long-time families of the Starrsville area include the Andersons, Belchers, Biggers, Corleys, Cooks, and Dixons amongst others. And this leads me to an interesting family tie-in. As I’ve mentioned in previous columns, my wife’s maiden name is Biggers and she is descended from the Starrsville Biggers. My great, great, grandfather, William Marion McCart, moved to Starrsville from Covington in the late 1800’s and would reside there with his family until his death in 1915. He, his wife Sarah, and one his daughters are buried at the Starrsville Methodist cemetery. Not too long after we started dating, my wife and I went out to the cemetery and we realized that my ancestors and her ancestors were practically buried right next to each other! That’s pretty neat. Hey everybody! Hope all is well out there. Last month, we took a tour of some of the prettiest towns and places in the Piedmont winding our way from Salem to Buckhead. This month, we are going to cover two of my favorite small Georgia towns—Newborn and Mansfield . If you head out from Covington and hit 278 east and then pick up Hwy 142, you will eventually run into Newborn, GA. Originally named Sandtown (or maybe Cross Road ), this area was first settled in 1819 making it the oldest settlement in Newton Co. with the exception of Winton (later Brick Store). Newborn holds a special place in my heart as I lived there for four years after my Athens days. And I must say—I think of my time in Newborn often and fondly. On the left after you pass the railroad tracks is the Newborn Fertilizer Building . Owned and operated for many years by Ralph Adams and unmistakable in its appearance, it was the center of activity in this town for many years. There was a time when Mrs. Adams would plant greens in the field next to it and put out a sign out offering them free to anyone who wished to pick ‘em. If you turn off of 142 on any of the side streets and especially up and down Johnson Street , there are many fine houses to be seen. Past the flashing caution light, you’ll see the Newborn School House on the right. Once the site of the Palmyra Institute and later Newborn High School , it is now a community center and a music venue, The Newborn Opry, where on Saturday nights, you can listen to some good old-timey country, bluegrass, and gospel. Newborn’s history is full and ups and downs. There was a time when there was a bank, hotels, multiple stores, and a thriving train depot. As is the case with many old, small towns in Georgia , the railroad was its lifeblood, and like so many southern towns, the boll weevil was its biggest detriment. There was also a terrible tornado in 1866 that took four souls as well as other tragedies. But through it all—Newborn survived. With around 600 people today, Newborn retains its sleepy, small-town charm. Maybe a mile or so as the crow flies from Newborn is good ole’ Mansfield , GA. Just a quick skip down Hwy 213, Mansfield is truly a fine, southern town. The legend of how this town got its name is really cool. The story goes like this—the Carmel Land Improvement Co., the real estate venture that bought the land and laid out the town lots, decided that the person who “remained sober at the celebration [following] the sale of the lots”, would be the namesake for the new town. Well, wouldn’t you know it; a “Mr. Mansfield” was apparently the only one who laid off the sauce that day. I don’t know if the story is true, but I sure hope it is! 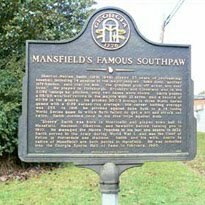 Mansfield was a railroad town in the truest sense as it came about because of the completion of the Middle Georgia & Atlantic Railroad. According to records, the town started up around 1896 and received its charter in 1903, making it much younger than Newborn. There was a time when Mansfield had a hotel, multiple restaurants, a bank, an undertaker and even a movie theatre. For years, the Prosser Brothers Store was a major part of community. Not all was good however. The Bank of Mansfield had an unfortunate knack of getting robbed as it happened five times between 1954 and 1974 including the tragic killing of a cashier in 1971. Like Newborn, the boll weevil and the depression greatly hurt this town but did not kill it. Today, Mansfield is a beautiful city filled with some of the finest folks around. *This was my first column for "About Covington to Madison" that came out in early 2009. Based on the title of this column, I can hear some people saying, “Salem? Isn’t that a road”. Yes it is, but for over hundred years it has been a community. Never an incorporated town, but like so many other little hamlets in Newton county, it has been a vital part of people’s lives. Salem originated from the Salem Campgrounds which has hosted the Salem Camp Meeting every year since 1828 (with the exception of the Civil War years) making it one of the South’s oldest camp meetings. As you wind your way east from the western part of Newton towards the center you will hit Covington, the county seat. Referred to as “C-town” by a lot of the younger residents of the city (myself included), Covington’s town square has been considered one of the prettiest in the state. The historic courthouse has been immortalized by many movies and television shows over the years, particularly the long-running show—“In the Heat of the Night.” Covington was originally called Newtonsboro but was later changed in favor of the last name of General Leonard Covington, a war hero of the War of 1812. Covington’s history is rich and varied. There was a time in the 1880's when several saloons were on the Covington square and the city was considered somewhat of a “boomtown”. If you ride east from the Square on Floyd Street, you will ride by some of the prettiest Antebellum homes you’ll ever likely see. If you took Floyd Street to Hwy 278 and went east you would eventually find yourself in Rutledge, Ga. A beautiful little city, it is one of Morgan County’s four incorporated towns. And at around 700 people, it is actually Morgan’s 2nd biggest city! Rutledge is right next door to Hard Labor Creek State Park. One of the prettiest places in all of Georgia, this state park features great fishing at Lake Rutledge and is also home to one of the most beautiful golf courses I’ve ever played. If you head north from the state park on Fairplay Rd you will pass through the community of Fairplay. After the third 4-way stop, be prepared for a glorious and serene sight as you pass through a valley just south of Bostwick, GA. Bostwick, one of the coolest little towns in Georgia in my estimation, is home to the Susie Agnes Hotel which is on the National Historic Register. They also have a yearly Cotton Gin Festival every Fall. Bostwick was founded in 1902 as a cotton town with a John Bostwick as mayor. In 2009, Bostwick is a cotton town with a John Bostwick as mayor. Pretty neat! If you jump on GA 83 and head south you will eventually arrive in Madison, GA. Named for America’s third president, Madison is known as “The town Sherman refused to Burn.” It has also been named “The Prettiest Small Town in America.” It is truly that, and will have its own write up in a later column. If you jump on I-20 and head east for a bit you will arrive in Buckhead, GA. Known as the “real” Buckhead, it is the smallest incorporated town in Morgan Co. with approx. 200 residents. Surrounded by beauty, this little town just gives you a special feeling. Originally settled in 1805 but not fully incorporated until 1908, it predates all other cities in Morgan Co. Recently, it has become home to a major musical festival.